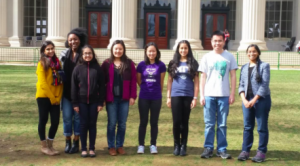 MIT INSPIRE, a national high school student competition for original research in the arts, humanities, and social sciences, was founded by Vaishnavi Rao, who just graduated from the Brain and Cognitive Sciences department. As she leaves INSPIRE in the hands of her fellow MIT students and prepares for Stanford Medical School this fall, Vaishnavi sat down with pK-12 faculty and staff to talk about INSPIRE’s journey and incredible success in impacting students from all over the country. INSPIRE was created with the goal to motivate and incentivize high school students to carry out their own research and encourage holistic, multi-dimensional problem-solving on key societal topics. With all the focus currently on STEM topics, it’s important not to forget about other interesting disciplines such as history, literature, anthropology, philosophy, etc., or their intersection with STEM, Vaishnavi explained. To participate in INSPIRE, high school students create and submit an abstract and report online in one of the thirteen categories that falls under the arts and humanities. 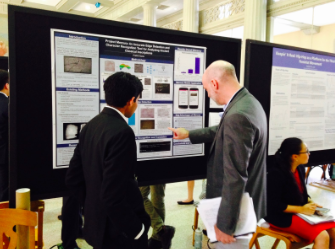 Sample projects from INSPIRE 2017 include ‘A Qualitative Study on the use of Twitter by 2016 U.S. Presidential Candidates,’ ‘Human-Computer Interaction:Translating English Into Code,’ and ‘An Accurate Edge Detection and Character Recognition Tool for Analyzing Ancient Classical Inscriptions.’ Read about one Pennslyvania student’s journey to MIT here. Over three years, 1700 students have embarked on research and submitted proposals for INSPIRE’s annual competition. Each year, 100 finalists make it to the final round where they present their topic to judges who pick 35 winners to receive cash prizes, trophies, ribbons, and certificates. The annual average in prizes given to students is approximately $50,000. The judges are various experts in their fields and include professors, alumni, and graduate students. This all happens at the Annual INSPIRE event which is a 3-day event on MIT’s campus each spring that includes an opening ceremony, keynote speakers, panel discussions, and a mentor development workshop. The reach and impact of INSPIRE has been immense and thus far, students and educators from 45 states have participated. Over 950 high school educators and mentors have guided students from 500 schools as they developed original, meaningful, and impactful ideas relevant both to themselves and to the world. Forty-two percent of educators and mentors that participated indicate that they are now using INSPIRE methods in their classroom as learning tools and projects for their students. Not only has INSPIRE brought teenagers from around the U.S. together to discuss their ideas and passions, but it established engagement among the MIT community as well. Over 20 departments and stakeholders at MIT get involved as speakers, panelists, judges and sponsors. 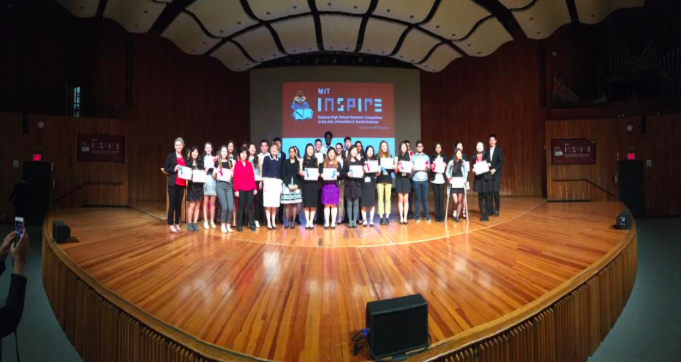 INSPIRE has enabled strong leadership and entrepreneurship skills for MIT undergraduates and given them invaluable real life experience. As Vaishnavi leaves MIT for her next adventure, she should be proud to have founded a successful program that helps MIT undergraduates and high school students and educators from around the country develop their skills, interests, and talents in meaningful ways.